In our continuing search for the best coffee house in Vancouver, Nick and I headed over the Cambie Bridge to Mount Pleasant to try the caffeinated delights and sweet offerings at 49th Parallel. Recommended to us by numerous Vancouver-based friends and raved about by a number of online sources, the amount of anticipation and expectation riding on our first visit was tremendous. Fortunately for us, 49th Parallel did not disappoint. Not only did their coffee taste great but their baked-in-house doughnuts were exceptionally good, so much so that I would go as far as saying they’re the BEST doughnuts in the city! Sorry Cartems. 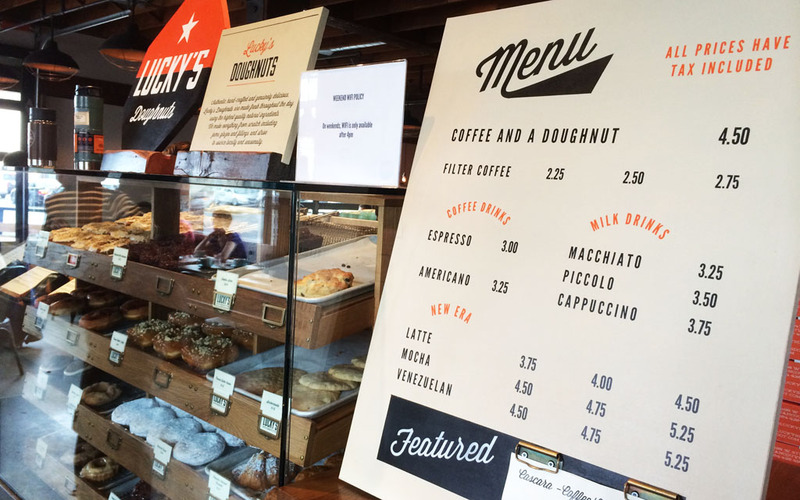 While there are a couple of 49th Parallel cafes around the city, this particular branch located on Main Street operates in conjunction with Lucky’s Doughnuts. 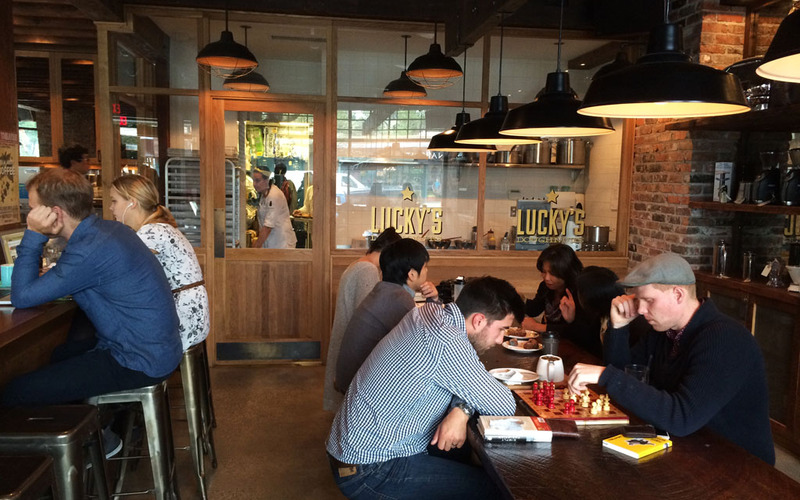 Run by 49th Parallel Coffee Roasters Lucky’s Doughnuts is a donuterie of sorts which bakes fresh throughout the day a variety of handcrafted doughnuts, from traditional French crullers to classic Old Fashioned doughnuts. Dusted with sugar, oozing with jam, stuffed with coconut cream or covered in chocolate, Lucky’s Doughnuts has something for everyone. My pick is the glazed doughnut. 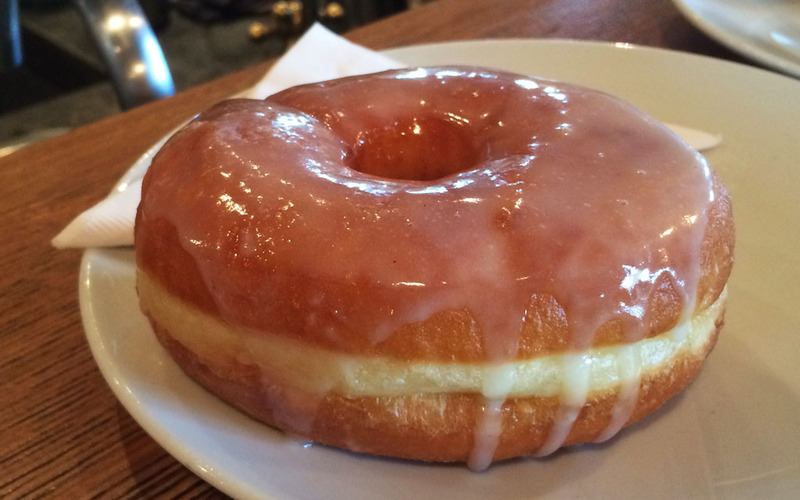 A classic yeast-raised doughnut ring with a vanilla glaze ($3.75). It’s simple, surprisingly light, and the glaze perfectly sweet. Paired with a mug of coffee (whether it be drip, espresso, or brew), or for non-coffee drinkers a delightfully smooth chai latte, Lucky’s Doughnuts are a satisfyingly delicious treat. For the coffee connoisseur, 49th Parallel’s drink menu offers a variety of South and Central American blends, which boast a range of tastes and textures. 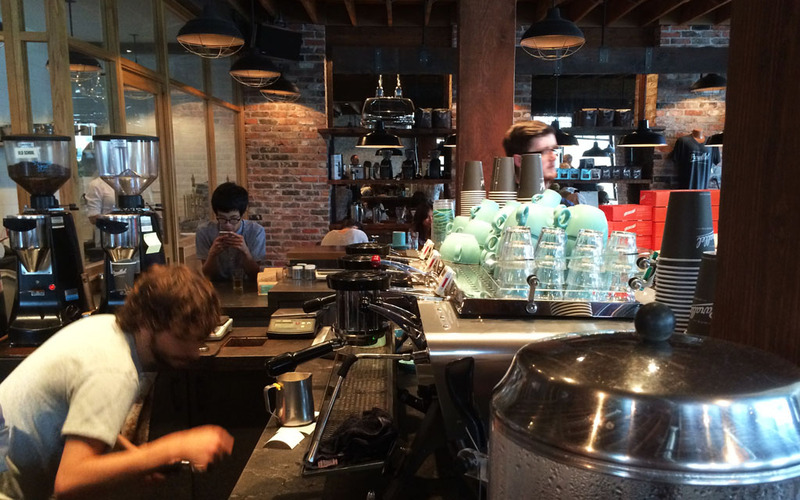 Hand picked beans, custom roasting, and dedicated baristas ensure a fantastic cup of coffee each and every pour. 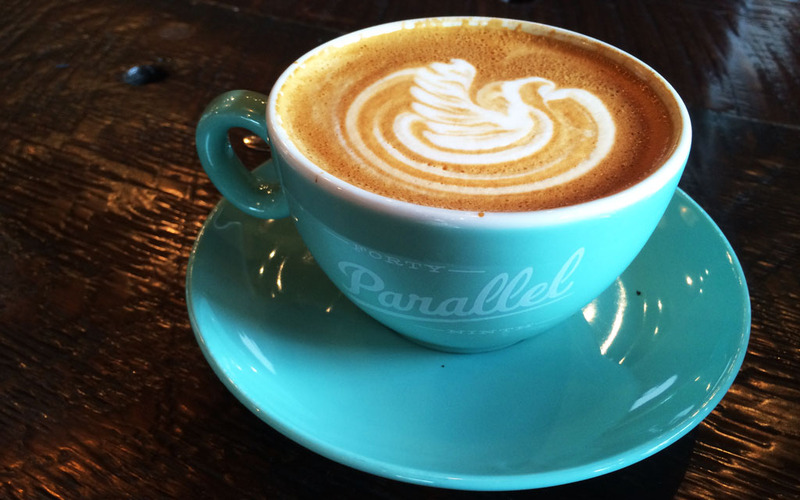 While the coffee and the doughnuts are enough to bring patrons back time and time again, it is also worth noting what a warm and welcoming space the team at 49th Parallel have created. Under high ceilings and beautiful timer beams, a cluster of individual tables, lounge chairs and a long wooden communal bench with swing out stools provide ample and comfortable seating. Experiencing first hand the wonderful selection of coffee blends, spectacularly round and fluffy doughnuts and the relaxed atmosphere 49th Parallel offers, I wholeheartedly agree with all the hype that surrounds this place. So do yourself a favour and visit soon!